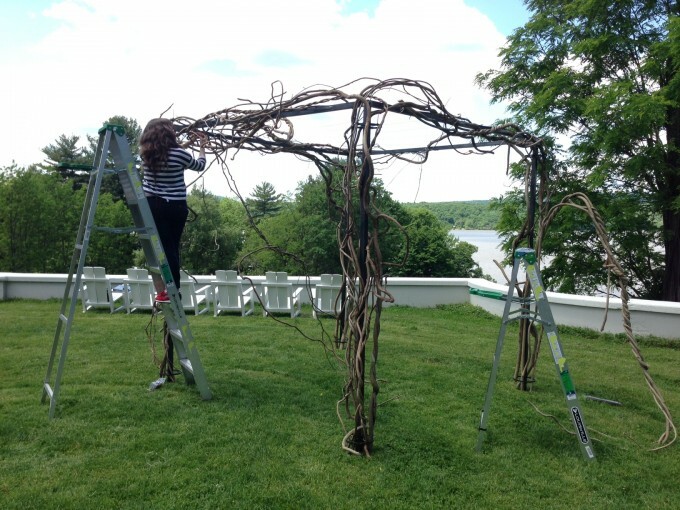 Today we’re sharing a behind the scenes look at how large scale installations, such as this chuppah, come to life. 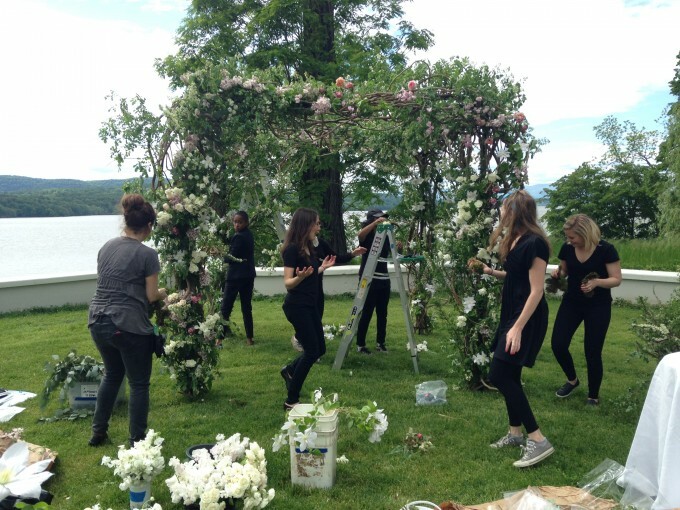 This past May we spent two days installing at one of our favorite spots, Locusts on Hudson. 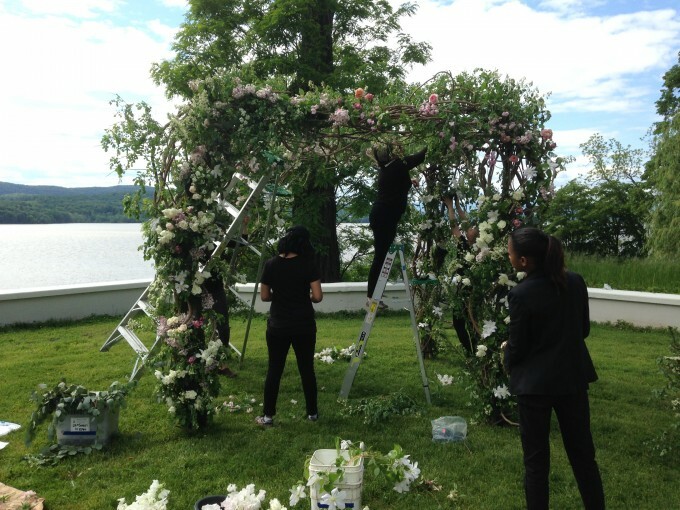 The chuppah was one of the masterpieces of this particular wedding and a lot of love from many different hands went into building it. Manu from Revolve Furniture built us a base that we could work from. The first step was attaching our wisteria vine. 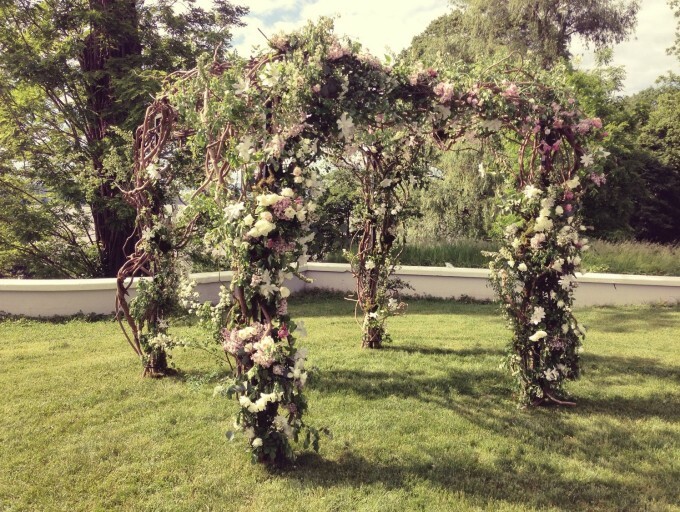 The morning of the wedding we began attaching wild rose, olive, garden roses, peonies, clematis vine and a canopy of sweet pea for the bride and groom to stand beneath. 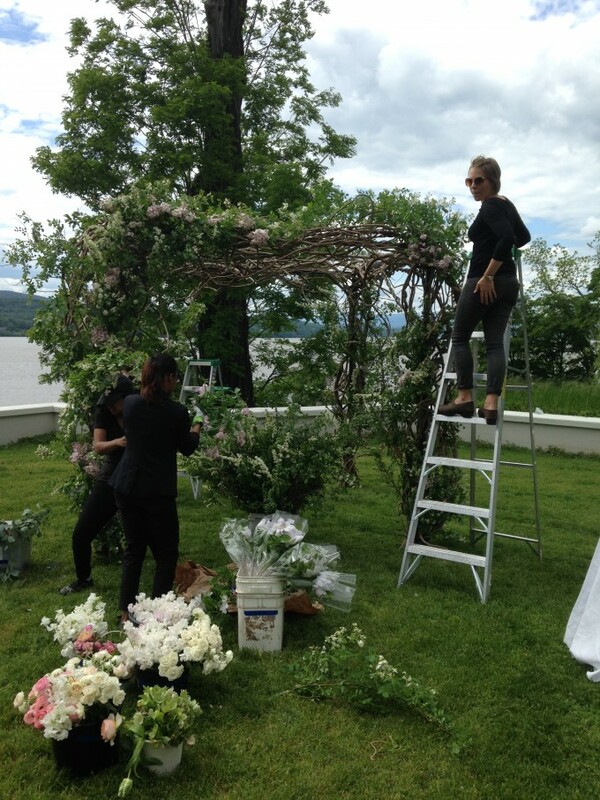 Top photo by Christian Oth Studios, Planning Team: Lyndsey Hamilton Events, Venue Locusts on Hudson.